In just 40 Seconds a group of Masked Robbers perform a Multi-Million Dollar heist! Thieves stole millions of dollars in jewelry from one of Houston’s most upscale stores during a brazen heist all caught on camera. Residents were shocked when they watched the surveillance video. The heist took place Tuesday around 6 p.m. inside de Boulle Diamond and Jewelry, one of Houston’s most upscale shopping places. In the video, four men dressed in all-black and covered faces can be seen terrorizing the store as customers and employees looked on. 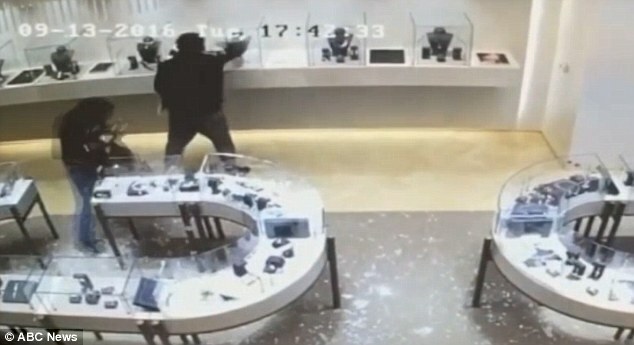 Using hammers to smash the display glass, the thieves stuffed top-dollar diamonds inside their bags. One of the suspects even went back for more. They got away with millions of dollars worth of jewelry. How long did the heist take? 40 seconds.